Remembering Sanjeev Kumar On His Birth Anniversary - Some Rare Trivia! 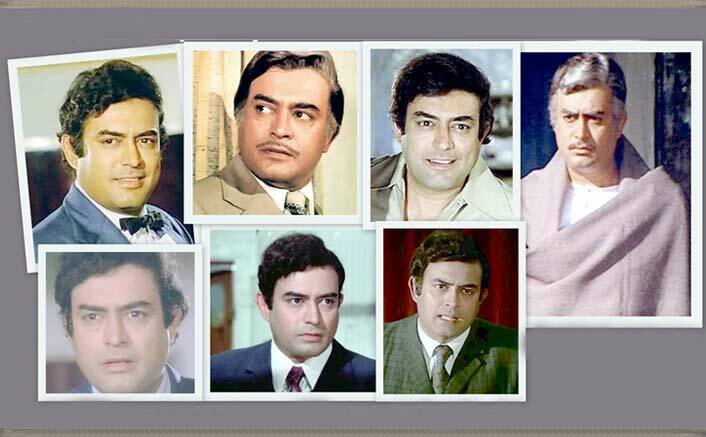 Home » Bollywood News » Remembering Sanjeev Kumar On His Birth Anniversary – Some Rare Trivia! Remembering Sanjeev Kumar On His Birth Anniversary – Some Rare Trivia! Let us reminiscence a trivia journey of his career on the birthday of this highly versatile actor who at a left this world early when he was 47 after having a massive fatal heart attack. Gujarat has given the Hindi film industry many female actors such as Asha Parekh, Dimple Kapadia, Pooja Bhatt, Aruna Irani and Supriya Pathak. Male actors are lesser, and among them one name stands out, Sanjeev Kumar, the popular hero who has a road, a school and an auditorium named after him. Haribhai Zariwala better known as Sanjeev Kumar is one of the best ever actors in the history of the Hindi film industry and probably the Industry’s most famous male hero from Gujarat. His birthday is on 9th July. Let us reminiscence a trivia journey of his career on the birthday of this highly versatile actor who at a left this world early when he was 47 after having a massive fatal heart attack. Hum Hindustani, in 1960, the Sunil Dutt starrer which had the famous song “Chodon kal ki baatein, kal ki baat purani” was Haribhai’s debut movie. He was just 22. Haribhai had a small role in it, and he also had a minor role in Sunghursh, starring Dilip Kumar and Vyjantimala. Currently, the much anticipated movie of the year is “Thugs of Hindostan” which is on the Thuggee cult. Sunghursh, incidentally the movie where Rakesh Roshan started his career was also on the thuggee cult as well. It was Khilona in 1970 which firmly established Sanjeev Kumar on the road to superstardom. This movie starred Shatrughan Sinha and Jeetendra as well. There was only one female lead, Mumtaz who won best actress award. However Sanjeev Kumar too was nominated for best actor award and his role was highly acclaimed. The song “Khilona jaan kar tum to” is one of Rafi saab’s best ever sad songs, and showcases Harbhai’s acting skills. Haribhai made a super pair with Amitabh Bachchan. They 1st had special appearances each in Mehmood’s Kunwara Baap. After Faraar came the blockbuster Sholay. Other prominent movies starring both of them were Trishul, Kaala patthar, Silsila and Khuddaar. Sanjeev Kumar enjoyed acting with Amitabh, even though he was given the older roles. Only once he was reluctant to act in an Amitabh starrer, and that was for Silsila, but he relented after Yash Chopra went all the way to Bangalore to convince him to take up the role. Kriti Sanon & Diljit Dosanjh Wraps Up The Shooting Of Their Upcoming Film Arjun Patiala! Haribhai had an amazing comic touch which was seen in movies like Seeta aur Geeta, Pati Patni Aur Woh and Biwi O Biwi. Somehow good music and songs too are associated with Sanjeev Kumar. Seeta aur Geeta had “Koi ladki mujhe kal raat” and “Hawa ke saath saath”. Pati Patni Aur Woh had the all time famous song “Thande thande paani se” while Biwi O biwi too had excellent music by Pancham. However, Haribhai’s undisputedly best comic movie was Angoor, directed by Gulzar where both he and Deven Verma played twins. This movie is based on Shakespeare’s Comedy of Errors and it is in my opinion the best ever mistaken identity movie ever made in Hindi film industry. Shotgun Sinha in his book has said that once he needed Rs 10 Lakhs for an unknown expenditure and could not arrange the funds. He was ready to even sell his house but his wife Poonam was not agreeing. Filmmaker Subhash Ghai kept on saying he would give him but was simply delaying on some pretext or the other. Shotgun met Sanjeev kumar for dinner and casually mentioned to him. Haribhai asked him when could he return it and Shotgun said he had no idea. To his surprise the next day, Sanjeev Kumar’s secretary came to him and gave him the money. Shotgun asked him what interest rate would be charged and Haribhai said “between friends, no interest”. Happy Birthday to the great Sanjeev Kumar.